Please create an account to continue by entering a User Name (which can be an email address or other name) and password. If you already have a user name and password please enter it now to access the website. Thank you for reading. Please create an account to continue. BOSTON — As a sweeping bribery scandal reignites debate over college admissions, a pair of polls reveal that many Americans think the nation's universities place too much emphasis on factors such as wealth, family ties and athletic ability. UNITED NATIONS — Human rights lawyer Amal Clooney said Tuesday she is requesting the transfer of a female member of the Islamic State extremist group to face justice for crimes against women from Iraq’s Yazidi minority and American hostage Kayla Mueller, who was killed in 2015. NASHVILLE, Tenn. — Marquise Brown knows too well the challenge of stretching $20 over a month to feed himself, with help from discounted meals at work and food from his junior college coach. Josh Jacobs had days when he ate only if he stole something. Michael Harvey is running on the Republican ticket. After eleventh-hour candidate withdrawal, Philadelphia Democrats filed a last-minute nomination petition for their pick in the special election for the 190th District in the state House of Representatives, a seat vacated by disgraced Democrat Vanessa Lowery Brown. Democrats nominated Movita Johnson-Harrell, the former supervisor of the Philadelphia District Attorney’s Victim/Witness Services Unit, to compete in the March 12 special election, a spokeswoman with the state Department of State confirmed Tuesday. 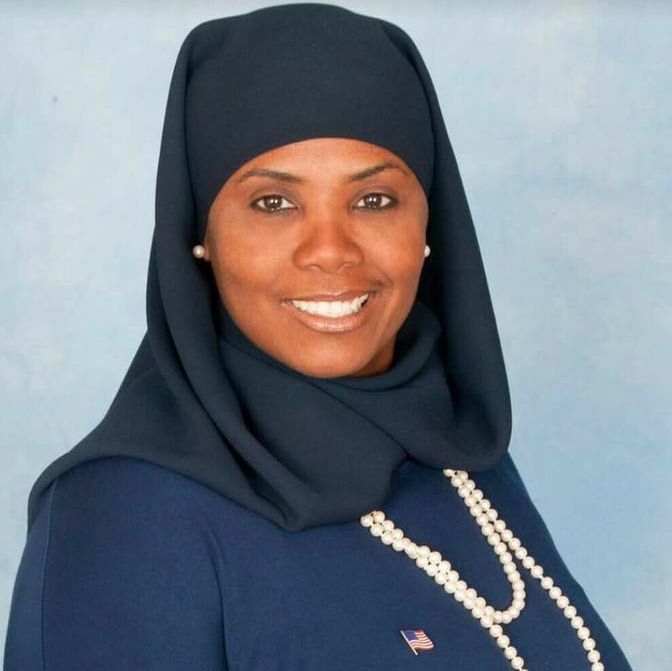 If elected, Johnson-Harrell would become the first Muslim woman elected to the state House. Her nomination came days after Democrat's initial nominee, Darryl Thomas, withdrew his nomination because "he had a residency problem," said Bob Brady, the former congressman who is chairman of the Philadelphia Democratic City Committee. That left Democrats until Tuesday to file a substituted nomination certificate. Also on the ballot will be Republican Michael Harvey, Amen Brown of the Amen Brown Party and Pamela K. Williams of the Working Families Party, according to the candidate list posted on the Department of State’s website. Due to the timing of Lowery Brown’s resignation, Democratic and Republican ward leaders in the district were tasked with nominating candidates. Johnson-Harrell did not respond to multiple calls and texts seeking comment. On Sunday she posted on her Facebook page that she received the nomination. “I embrace the opportunity to unite the 190th while working to ensure our communities are safe, our children are educated and we have community re-investment to improve the quality of life for all constituents of the district!” Johnson-Harrell wrote on her Facebook page. A community and anti-gun violence advocate, Johnson-Harrell worked at the district attorney's office since January 2018. A spokesman for the district attorney’s office said she resigned from the position on Friday. Johnson-Harrell founded the CHARLES Foundation after her son, Charles Johnson, was killed due to mistaken identity in 2011. Johnson-Harrell previously filed for bankruptcy and had a summary offense against her, Brady said. But that those issues wouldn’t prevent her from holding office, if she wins, he noted. Harvey, a 22-year Navy veteran, now serves in the Air Force Reserve, is a security professional and is an insurance agent. He was born and raised in West Philadelphia, and has three children with his wife. Harvey said he’s campaigning on the planks of bringing positive economic, educational, and public safety changes to the district that includes most of Fairmount Park. Lowery Brown won re-election in November but resigned last month following her conviction on corruption charges for taking bribes. The seat became vacant before newly elected state lawmakers were sworn in and the new legislative session began this month. Voter turnout in special elections — especially those that don’t coincide with primaries or a general election — is typically abysmal, so the candidates will compete for a small number of dedicated and passionate voters. “There’s nothing else going on as far as other elections to make voters more aware an election is coming, so it’s generally a low turnout to begin with and since it’s just a stand-alone election, it should be extremely low,” said Chris Vogler, vice chairman and executive director of the Philadelphia Republican City Committee, who didn’t expect turnout to break 15 percent. Registered Democrats outnumber Republicans by a wide margin in the district and city. Democrat Lowery Brown held the seat for the past decade and easily won the November election with more than 99 percent of the vote before resigning. The winner of the March special election will serve out the remainder of Lowery Brown’s two-year term that concludes at the end of 2020, when all House legislators will be up for election again. The 190th District rests entirely within Philadelphia and is made up of the neighborhoods of Belmont, Carroll Park, Cathedral Park, Mill Creek, Haddington, East Parkside, West Powelton, Allegheny West and Lehigh West. Democrats chipped away at Republican majorities in the state House and Senate in the November midterms. They netted 11 seats in the House and five in the Senate, leaving the GOP majorities at 110-91 with two vacancies in the House and 29-21 in the Senate in 2019. This story will be updated. Check back with phillytrib.com. The Special Election is scheduled for, Tuesday, March 12, 2019. Philadelphia, PA on Saturday, February 2, 2019 at 3:00pm. Where is her campaign office located? I heard there are jobs canvassing and I'd love to support her! Chester native, B. JuWaun Jones, dedicated his craft to helping the homeless in Philadelphia. Giving out free haircuts and positive messages to those in need directly in the heart of the city, Jones is paying it forward in a major way.